Since coming into my new job as an educational technology specialist, I've gone home nearly every night telling Mike how much I love it. I'm finally in a position where I'm doing exactly what I love -- technology and teaching. It is amazing. 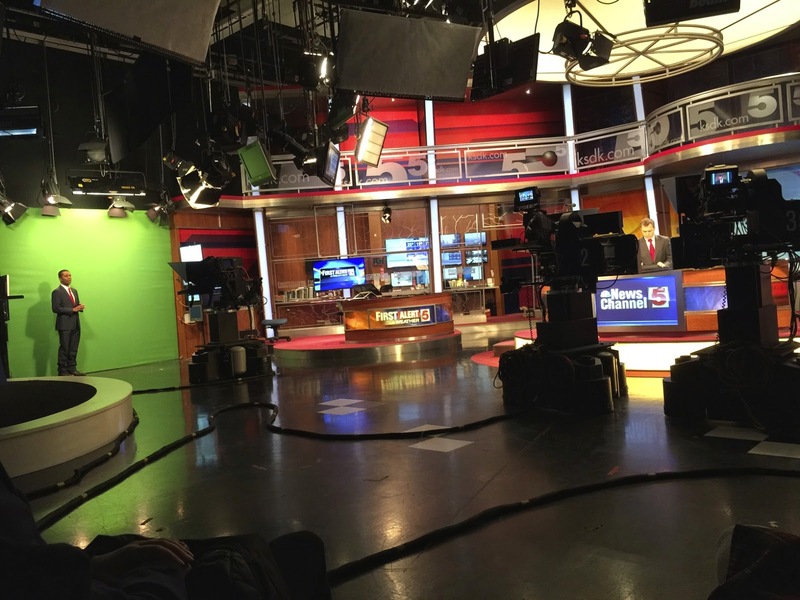 Last fall I had a video production class and arranged for us to go for a studio visit down to KSDK newstation. Well, with the events in Ferguson (and elsewhere in STL), it got postponed until the end of February. I no longer had that group of students in class, but they all were anxious to still go so I rescheduled our trip and got special permission to take them out of school for the day to go. To say they were excited was an understatement -- when I gave them a brief rundown of what we were probably going to do there, they were giddy with excitement! This made my teacher heart smile -- I love when students get visibly excited about something we're learning or doing! So we got down to KSDK and my friend (who I met and gotten to know better because of Scooter -- ahhh, the power of social media!!) Kay Quinn met us and gave us a very detailed and in-depth tour of the studio. This.was.awesome. She took so much time to answer every question any of the girls had and showed us all of the ins and outs of the studio, both on and off camera. 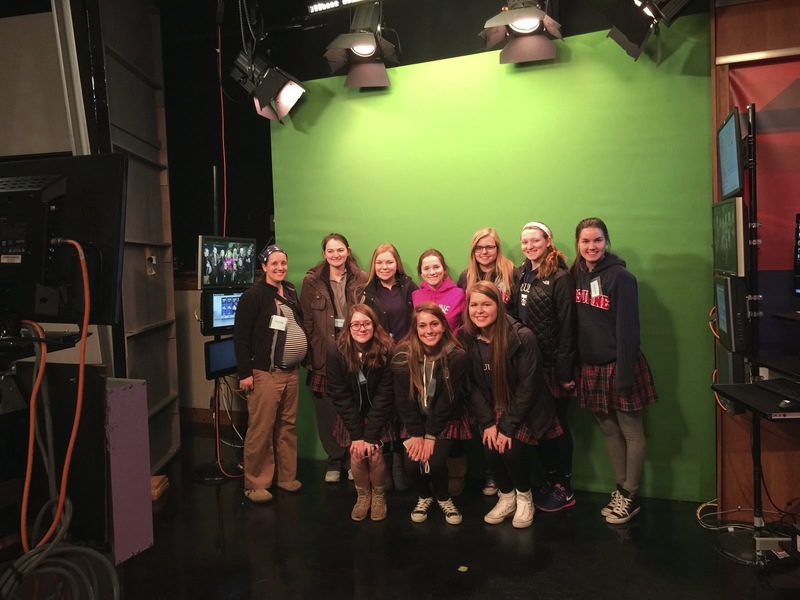 One of the girls favorite parts was actually getting to see the real studio that is used for all of the broadcasts, as well as getting to experience the weather green screen and how it works. 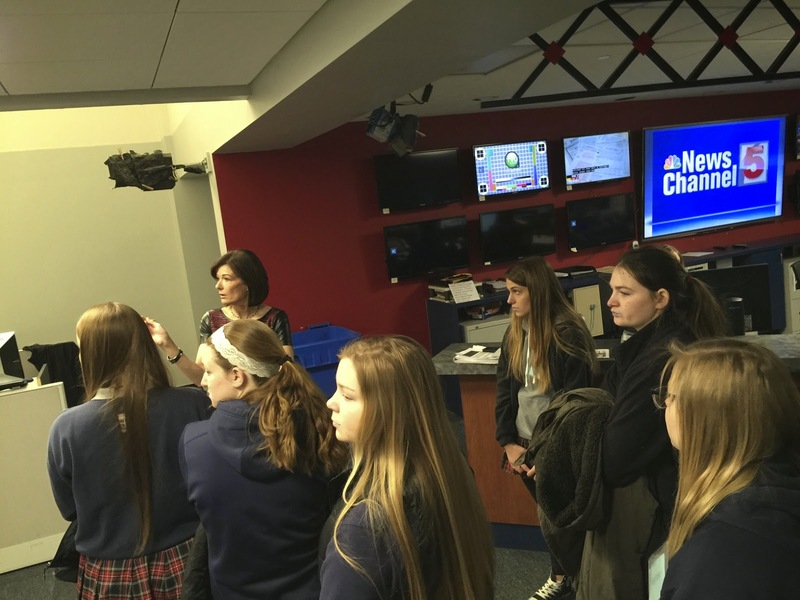 We got to chat with one of the producers at KSDK as well, and she was super helpful in telling the girls all about the inner workings of making a broadcast air-able as well as what goes on behind the scenes that people watching at home don't ever really know about. We had a'many photo opportunities as well during our tour -- which the girls absolutely LOVED. I think many of them used up all of their phone's memory space in capturing a'many photos and videos of their visit. At our debrief lunch afterwards many of them had their phones out and were already starting to upload and work on their videos they were going to make about their trip to KSDK. 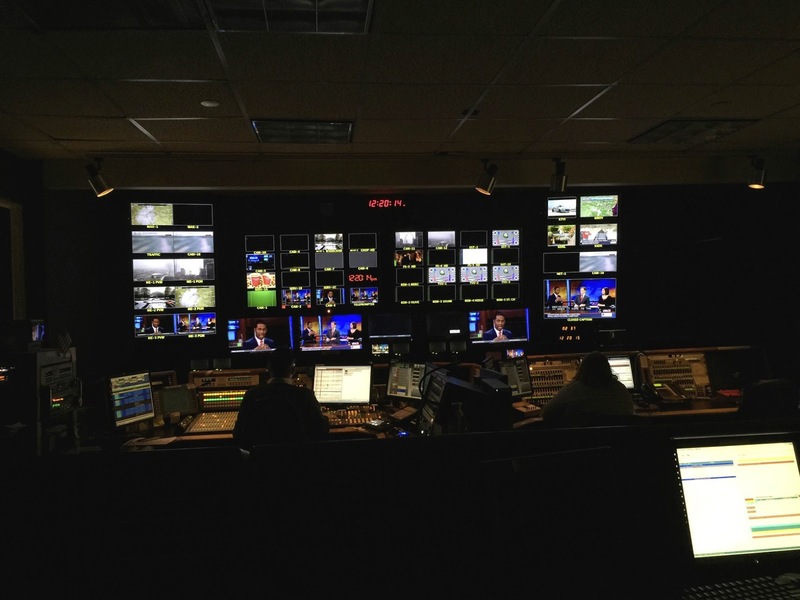 One of the coolest things we got to do was watch the noon news live -- from both behind the cameras in the studio to behind the giant control room wall in the broadcast center. 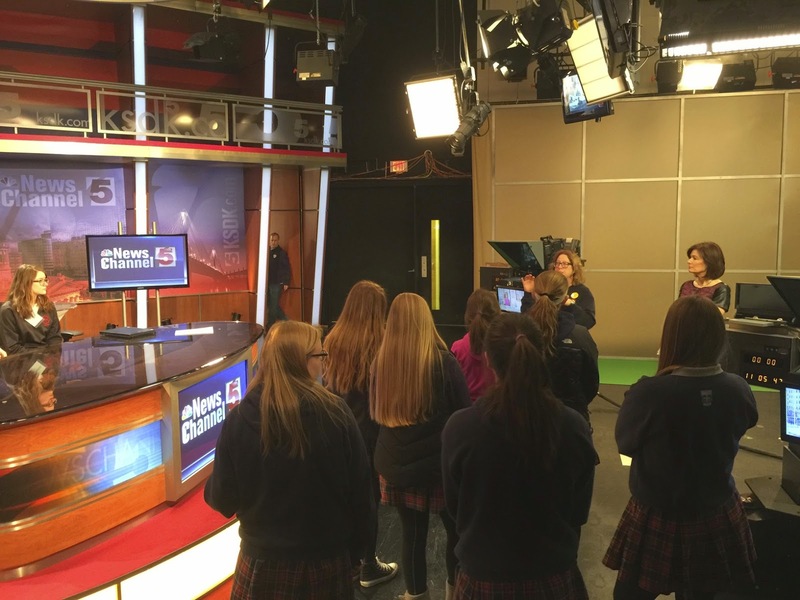 This was really cool -- and I think the girls really dug being able to watch the newscast LIVE (like right there in the studio!!) as well as from the control room and seeing how everything worked. We have a tricaster at school that they've used before, and the one as KSDK was similar, but wayyyyyy bigger! 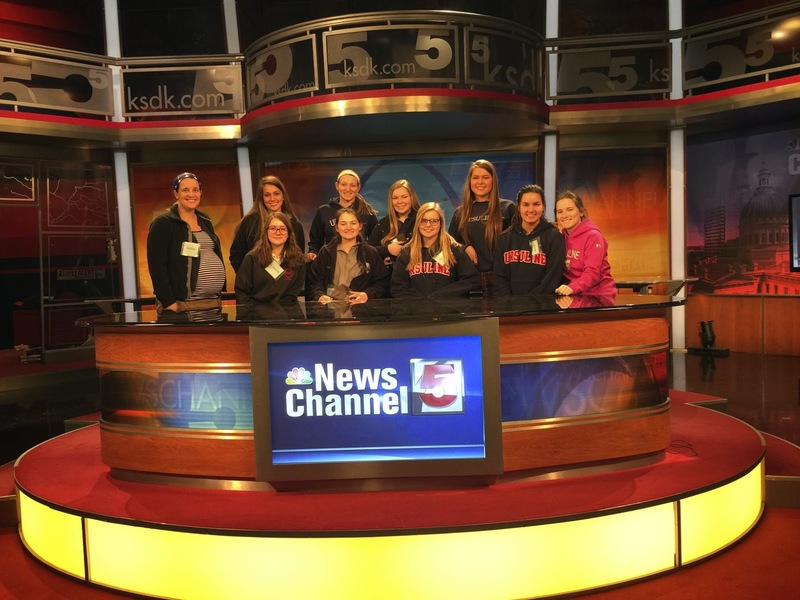 It was cool to see them make comparisons to the KSDK one and the one we have back at school. After getting to watch the noon news live the girls got a good 30 minute Q & A session with one of the weather guys and two anchors! It was great; they were able to ask them about anything and everything -- from wardrobe to mess-ups on air! It was a super neat experience and chat time for them. All in all it was a fantastic trip -- something I definitely hope to replicate in the future with my next set of students! They had a great time, but more importantly, learned a TON about broadcasting and video production on a bigger scale. Gosh, I love my job.